Parwal ki Mithai is very unique and famous mithai from North India.With the stuffing of khoya make its tastes awesome.It can be made eaisily at home. Wash and peel the parwals and Cut the parwals lengthwise from the centre.Take out the seeds carefully. Heat the water in a pan and add a pinch of Baking Powder and parwals ,boil for two minutes. Now in another pan boil sugar with two cups of water and make a sugar syrup. In this sugar syrup add parwals and cook for almost 10 minutes or till color change,cover the pan for 15 minutes. Take out the parwals from the sugar syrup and keep the parwals on plate (cut side down)so that excess syrup come out from parwals. To make stuffing roast khoya on medium heat till they become light brown and add sugar powder,let it be cool. Now add green cardamom powder,chopped pistachios and almonds .Mix all the ingredients . 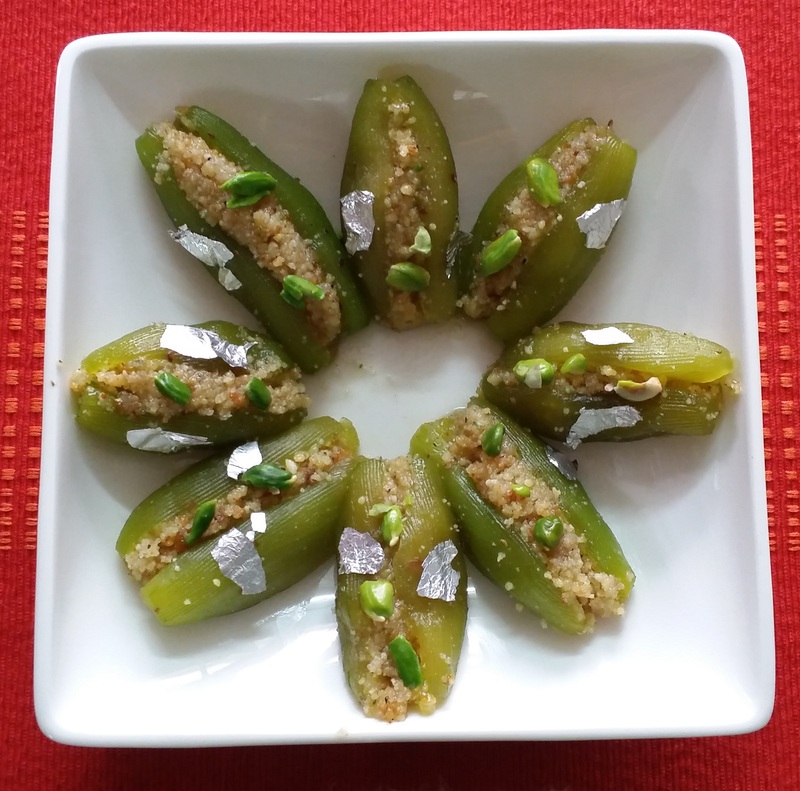 Now stuff this khoya mixture in parwals.Decorate its top with chopped pistachio and silver warq and Serve cold.